Pondering the best way to end music class? In today's post, I'll write with my favorite ways to end music class before another class walks through the door! A simple but fun way to say goodbye to your students is to sing goodbye to them! If your first-graders are working on sol-mi, you could sing "Goodbye first grade," on sol-mi-sol-mi, and they could sing back "Goodbye Mr./Mrs. ________." Then, you could sing "Have a good day," and they could echo that. You could even sing to individual students and have them sing solos back at you. An effective way to end a class is to do a live performance or to sing a book, whether you are playing dulcimer and singing a song tale or singing a book. 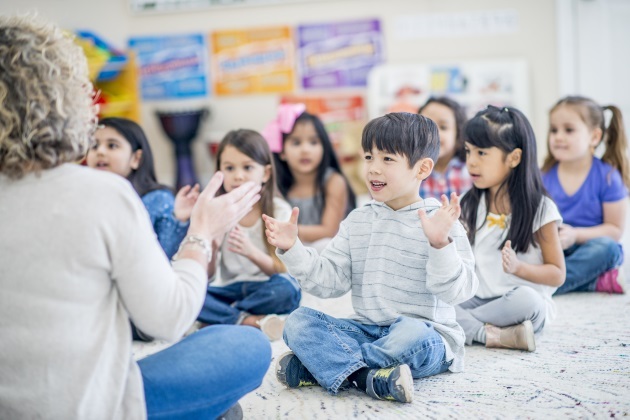 You could make this a routine, having it be the way you end all of your lessons, which can be calming because you are singing to students and because some kids love to know what to expect! Sometimes, I have students sing as they are lining up. I figure, the more they sing, the better! Students could sing the last song from the lesson, or they could choose one of their favorite songs to sing. A great way to get students thinking about what they just did in music class is simply to ask them, "What did we do today?" or "What did we learn today?" You might get simple answers, such as "We played 'Bee Bee'" or "We sang 'Apple Tree,'" but sometimes you can get deeper answers, such as, "We created patterns with ta and ti-ti," or "We played instruments to the beat." This can be a wonderful way to have students really think about their learning, which can make it "stick"! This can also be a great time to review your "I Can Statements" or "Essential Questions," if you use those. Another great way to have students review what they've learned is to have them fill out exit slips. These can ask a question about their learning from the music class, and can give you an idea of where they are at with that concept. I choose two star students at the end of every music class, and that child gets to come up to my SMART board and roll a die for a reward. Those students have to have shown great behavior during music class; I keep track of star students and try to choose every student before cycling through a second time...but if a child isn't showing great behavior, they'll have to wait until they do until I choose them! You can use just one of these ideas at the end of your music class, or combine them. For example, at the end of music class, you could sing a book to them, then choose a star student, then have them sing as lining up! These strategies can also work well as time-fillers, if you get through a lesson a bit quicker than expected. I hope this has been helpful for you! Happy teaching!